Happy Wednesday, y’all! We woke up to snow yesterday, which was a little bit of a surprise. The weather guy said that we would get some sleet, but things didn’t go quite like they thought. 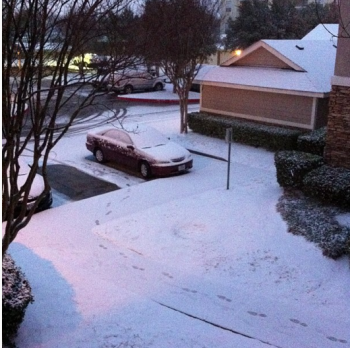 It wasn’t very much, but just enough to cause a hundred or so traffic problems here in the DFW area. Fortunately, we didn’t have to get out in the mess, so I am thankful for that. I wanted to tell you about the pizza we bought last night at Whole Foods. I had been craving pizza big time for the last couple of days, but I didn’t really want to just call up Papa John’s like we normally would have done. I wanted to satisfy my craving, while still not being too bad. 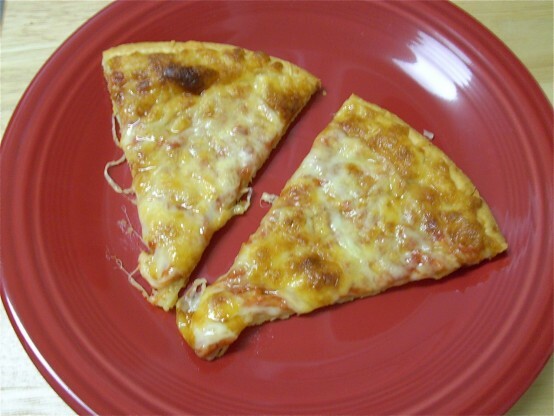 Now, since we cut way back on grains, I’ve made pizza here at home using a cauliflower crust. It’s okay, but it just isn’t quite the same. 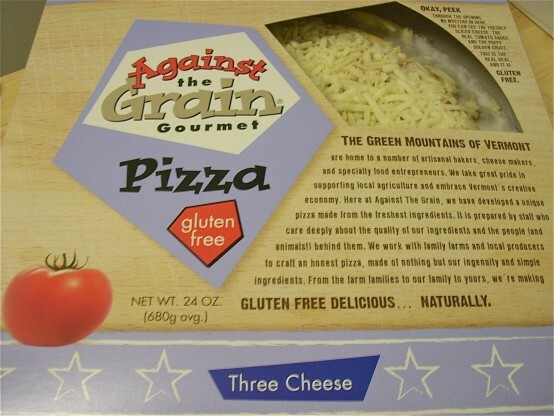 I’d seen the Against the Grain Gourmet pizzas a few times at different stores, but the $12 price tag always stopped me from buying it. After trying the Udi’s pizzas, I really wasn’t sure how good this one would be. The package has a cut-out where you can see the pizza, and it looked pretty good, so we decided to give it a shot. 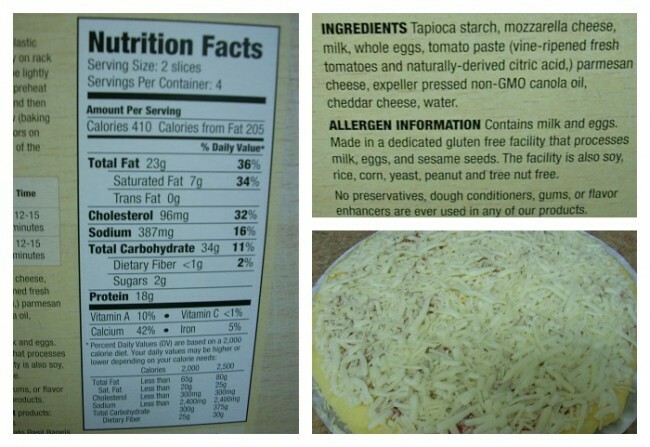 The ingredient list is fairly short, and I recognized everything on it, which is more than I can say for DiGiorno pizzas. I’m not saying that they are perfect. The cheese isn’t from grass-fed cows, and I’m sure the eggs aren’t pasture-raised, but I still think it’s better for you than the ingredients in a Papa John’s pizza or most of the frozen pizzas on the market. The crust crisped up nicely just like a regular thin crust pizza would. It did seem a little… rich. Not really sure exactly why. A little side salad with a lemon or red wine vinaigrette would have cut through the richness and been a perfect compliment to it. Would I buy it again? Sure, it’s about the same price as ordering one from PJ’s, and we both liked the taste. Will it totally eliminate the need to call up the Papa from time to time? Umm, no. Sometimes only the real deal will satisfy. I do think it’s a great alternative for those needing a grain-free, gluten-free pizza option. Against the Grain Gourmet also sells bread, and has another nut-free pesto pizza that we haven’t tried yet. I don’t think I’ve seen the bread in our local stores, but the two pizza options are available at Whole Foods. Have you tried the Against the Grain Gourmet pizzas? If so, what did you think about them? By Tempie at January 16, 2013 .